Classic Christmas Radio Theater for 2018 is Complete! An ALL NEW Edition of Classic Christmas Radio Theater is in the can and ready to roll! Up to 24 hours of the greatest radio programs of all time available by BARTER in most markets, with delivery via XDS or FTP. A non-commercial edition will also be available as well on a cash basis. Shows may be run through January 1, 2019. Radio stations interested in the program can use the comment form in the sidebar for more information. More to come as I update the page for 2018. Many thanks to all of you, Stations and Listeners alike, for making my Labor of Love so much fun. The bad news is that Christmas on the Radio is no more. 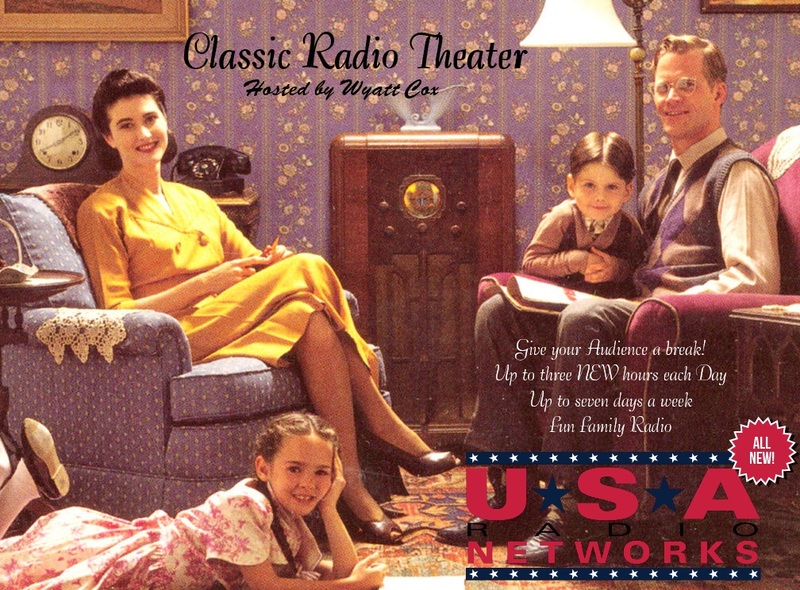 The GOOD news is that I have been hired by USA Radio Network to produce more great radio programs, including Classic Christmas Radio Theater and the ALL NEW Classic Radio Theater! To say that I'm happy is an understatement. The folks at the network are committed to the preservation of Classic Radio and are very supportive of our shows. If you are a radio station and want more information, email me at classicradiotheater@gmail.com and I'll put one of our fine Affiliate Relations people in touch with you as soon as possible!